This video is part of the NIKE WE FLY Campaign, we directed and filmed for Yard Events. 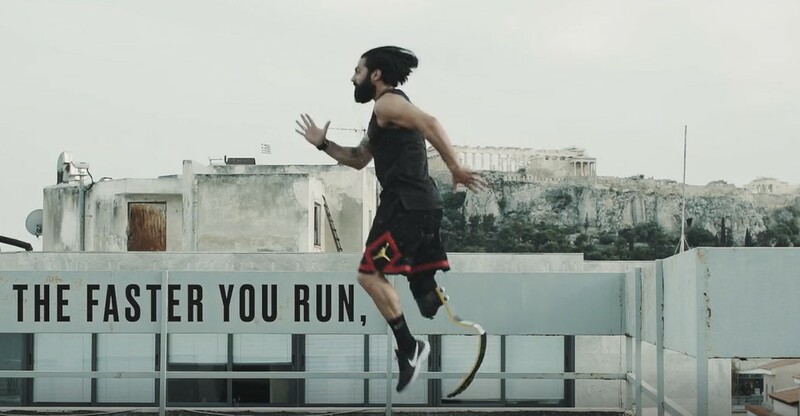 Seitis is a professional runner who lost his leg in motorbike accident. He is a role model for thousands of people and it was an honour working with him. The film was shot on the rooftop of, graphic designer, Alpha2graphic, who did part of the artwork for the NIKE Campaign.